Take a closer look at ASTRA's Best Toys For Kids Nominees in the Game Play - 8 yrs + category. Mysterious Creatures the Game was created to engage player's curiosity in the mysteries of nature that exist across the world. The game takes each player on an adventure/race across the globe in search of their creature's evidence cards. The first player to collect all 3 evidence cards and make it back to their creature's country of origin wins. Along the way players will learn geography, country flags, and a multitude of info about creatures that may or may not exist. All the card art for each creature incorporates the flag of its native country. Other features include the set-backs for natural phenomena like the Bermuda Triangle. Duple is a quick-thinking game of symbol matching and word-finding. Players flip letter cards in turn until the symbols on two players' cards match. 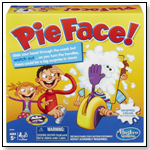 Matching players face-off by being the first to shout a word which contains the letters on both cards. Correct answers must be at least 5 letters long and conform to ever-changing categories. Wild Cards and Cascades create unexpected face-offs and the All Play card gets everyone facing off a once. Distributed by Everest. Launch date: February 2012. 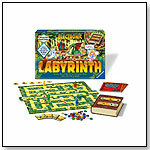 Collect the magic gems and free the Wizard in Electronic Labyrinth. The enchanted Labyrinth is in danger. The evil witch Grimelda banished the wise wizard Akata, guardian of the Labyrinth, into a magic book. Can players break her evil spell and free the wizard? Dangers lurk everywhere; Grimelda has put a curse on anyone who has tried to save him and turned them into mythical creatures. Contents: 1 playing board, 1 magic book, 37 Labyrinth cards, 17 object cards, 5 treasure chest cards, 4 mission scrolls, 4 magic keys, 4 playing pieces, 60 gems, instructions. For 2-6 players. Playing time: 45-60 minutes. 15th century princes from the Loire Valley devote their efforts to strategic trading and building in order to bring their estates prosperity and prominence throughout Burgundy. Two dice set the action options, but the players always make the final choices. Trading, livestock farming, city building or scientific research many different paths lead to the prosperity and prominence of the players. The many ways to gain victory points in this building game require careful thought and extensive planning ahead. 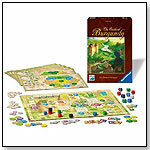 The different estates ensure that no two games are alike and that the game remains challenging for long time. •Contest: Will YOU Donate 100s of Educational Products to YOUR Local Schools? •Toy Industry Association's PlayCon 2012 Explores "Business of Play"
•CD Reviews: Princesses, Animals, and Grandkids Rock! · 2015 ASTRA Marketplace Videos - Kid Reporters have a blast playing with new toys!